Amazing Deals on GoPro Cameras & etc!!! 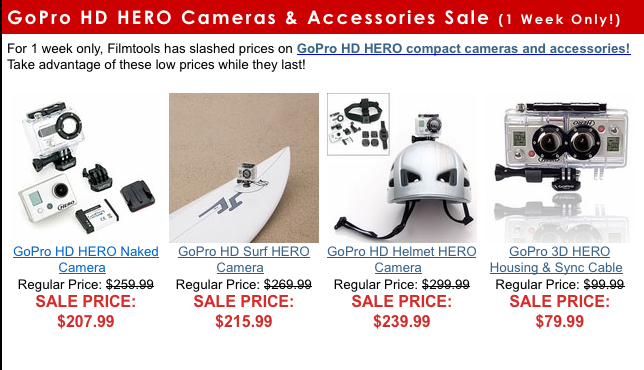 Check out the deals Filmtools is having for one week on GoPro gear! Click here to see their deals. Looks like you can save about $50 to $60 on the GoPro camera packages. Here are some cool GoPro videos from Vimeo…. GoPro HD – Skimboarding In A Storm! from Patrick Lawler on Vimeo.